This private, non-profit organization administers and coordinates U.S. volumntary standard and conformity assessment system. This non-profit educational and technical organization serves 125,000 members worldwide. Dynapar encoder products are CSA approved. The Canadian Standards Association is a not-for-profit membership-based association serving business, industry, government and consumers in Canada and the global marketplace. As a solutions-oriented organization, we work in Canada and around the world to develop standards that address real needs, such as enhancing public safety and health. Advancing the quality of life. Helping to preserve the environment. Dynapar encoder products are CE approved. CE is an acronym for the French phrase "Conformite Europeene" and is similar to the UL or CSA marks of North America. Unlike UL or CSA which require independent laboratory testing, the CE mark can be applied by the manufacturer through a "self certifying" procedure that verifies that products are designed to the appropriate standards. The CE mark states that the manufacturer complies the product to be within applicable EU directives. ISO standards are voluntary. As a non-governmental organization, ISO has no legal authority to enforce their implementation. A certain percentage of ISO standards, mainly those concerned with health, safety or environment have been adopted in some countries as part of their regulatory framework or is referred to in legislation for which it serves as the technical basis. Such adoptions are sovereign decisions by the regulatory authorities or governments of the countries concerned. ISO itself does not regulate or legislate. However, although ISO standards are voluntary, they may become a market requirement, as has happened in the case of ISO 9000 quality management systems. For businesses, the widespread adoption of International Standards means that suppliers can base the development of their products and services on specifications that have wide acceptance in their sectors. This, in turn, means that businesses using International Standards are increasingly free to compete on many more markets around the world. For consumers, conformity of products and services to International Standards provides assurance about their quality, safety and reliability. Dynapar encoder products are NEMA rated. Your source for general information on the definitions of NEMA Enclosure Types (e.g. NEMA 1, NEMA 4X, NEMA 7, etc.). NEMA promotes safety in the manufacture and use of electrical products. The mission of the Occupational Safety & Health Administration is to save lives, prevent injuries and protect the health of American workers. Select Dynapar encoder products are UL approved. Underwriters Laboratories Inc. is an independent, not-for-profit product safety, testing and certification organization. Dynapar is proud to be a member of the EASA trade organization with over 2100 electromechanical sales and service firms in 58 countries. EASA provides these organizations a means in keeping up to date with the latest materials, equipment, and state of the art technology in the industry. The VECI institute is an association of manufacturers and suppliers and users of a broad line of electro mechanical devices and specialized components. IEEE is the world's leading professional association for the advancement of technology. IEEE services the aerospace industry, telecommunications, biomedical engineering and the consumer electronics industry among others. Dynapar encoder products are compatible with BiSS and many other popular communications protocol standards. With the BiSS Interface ASiC-manufacturer iC-Haus has introduced an open digital interface for individual automation solutions which is free of license charges for user applications. Dynapar encoder products are compatible with DeviceNet and many other popular communications protocol standards. DeviceNet is one of the world's leading device-level networks for industrial automation. In fact, more than 40% of end users surveyed by independent industry analysts report choosing DeviceNet over other networks. Dynapar encoder products are compatible with Interbus and many other popular communications protocol standards. INTERBUS Club is an international association of companies with the common goal of driving INTERBUS technology and distribution on the global markets and supporting automated solutions with INTERBUS and complementary technologies, such as Ethernet. IAONA forms the umbrella organization under which competing concept providers and/or manufacturers of automated Ethernet TCP/IP solutions will be able to discuss their common development opportunities. Dynapar encoder products are compatible with Profibus and many other popular communications protocol standards. More than 260 manufacturers and users of the standardized PROFIBUS communication system have formed the PROFIBUS User Organization e.V. (PNO). The goal of this association is to jointly support the further technical development and implementation of this technology at an international level. The PROFIBUS user organization is a registered association with memberships of national and international companies and research institutions. Dynapar is proud to partner with AHTD. AHTD is devoted to advocating the value of the Automation Solutions Provider (ASP) within the high tech automation channel. Much of the association's efforts are focused on creating, building, maintaining, and improving efficient, profitable, and mutually beneficial relationships between ASPs and their manufacturers. The Fortive Corporation (NYSE: FTV), Dynapars' parent, is a diversified industrial growth company based in Everett, Washington, with 24,000 employees worldwide. Fortive's strong portfolio is comprised of recognized, global leaders in attractive markets, and it generates more than $6B in annual revenue. Dynapar is proud to be a partner of DDC. 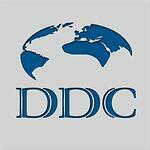 DDC is the world's leading supplier of synchro & resolver conversion products for position. Military and industrial applications range from radar, IR and navigation systems, fire control to flight instrumentation/simulators, motor drives and controls to robotics systems. DDCs product line includes the smallest, most accurate synchro/resolver-to-digital and digital-to-synchro/resolver converters available, today. Most of these single chip and hybrid converters are based on ASIC designs, yielding the most reliable converters ever offered. Synchro/resolver cards, including multichannel and instrument grade for VME, PCIe, PCI, PC-104, USB and VXI applications are available. DDC also offers a complete line of synchro/resolver test equipment, including such products as angle position indicators and simulators. DDC's Products: Resolver, Synchro, RVDT, LVDT, Hall, MR to digital conversion in component and card solutions, test and simulation components & cards for position feedback, SBA synchro booster amplifiers, sine reference oscillators. Dynapar is proud to be partnered with Marathon Electric. Marathon provides customers with quality products for targeted applications with two strategic product lines, motors and generators. Technosoft is a leading DSP motion control technology company specialized in the development, design and manufacture of digital motion control products and custom motion systems.